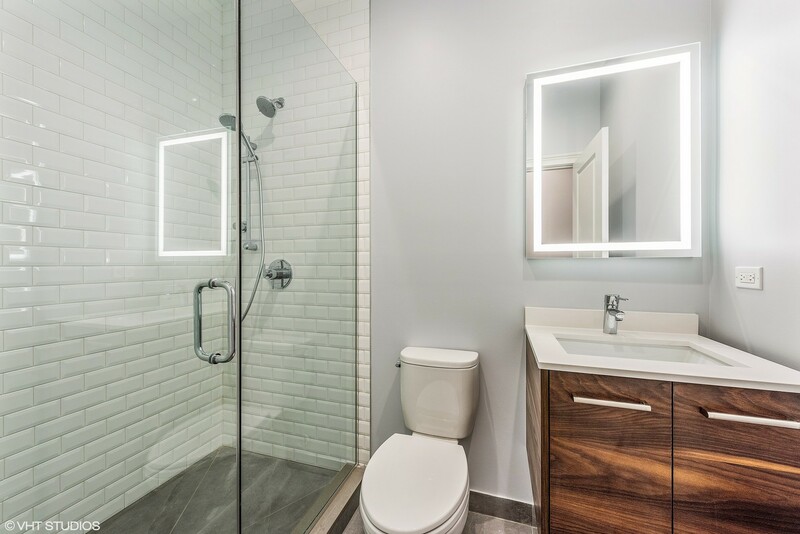 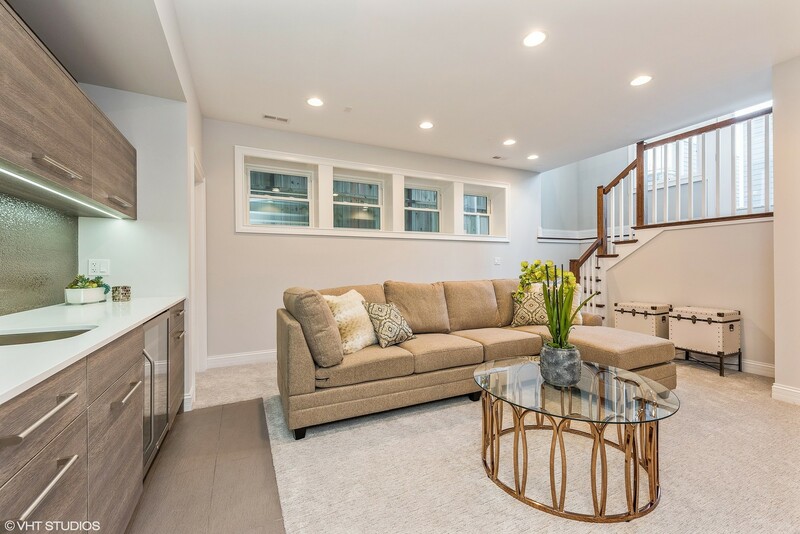 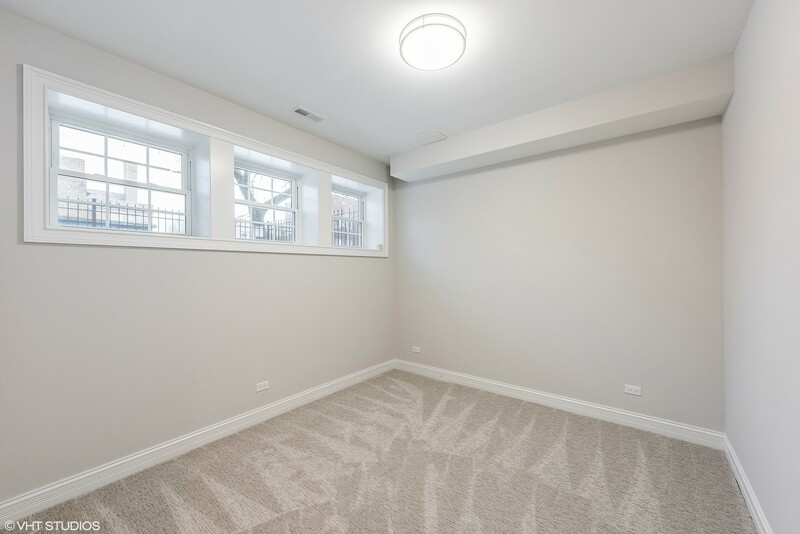 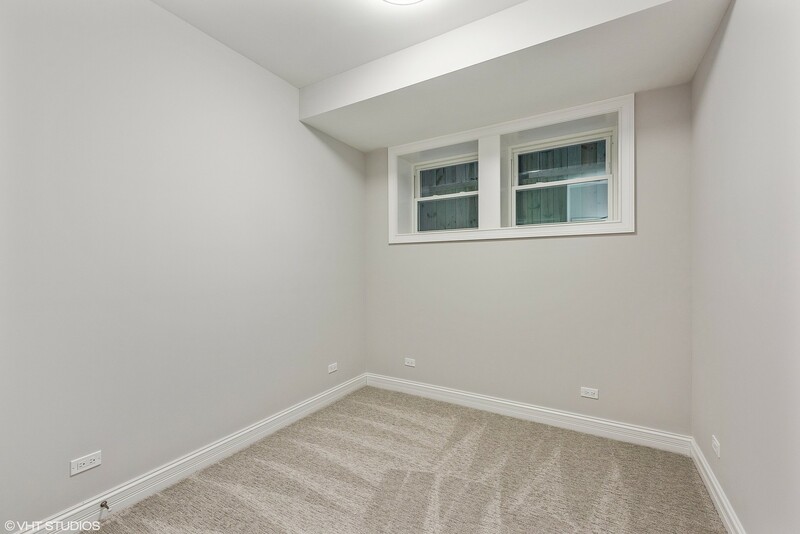 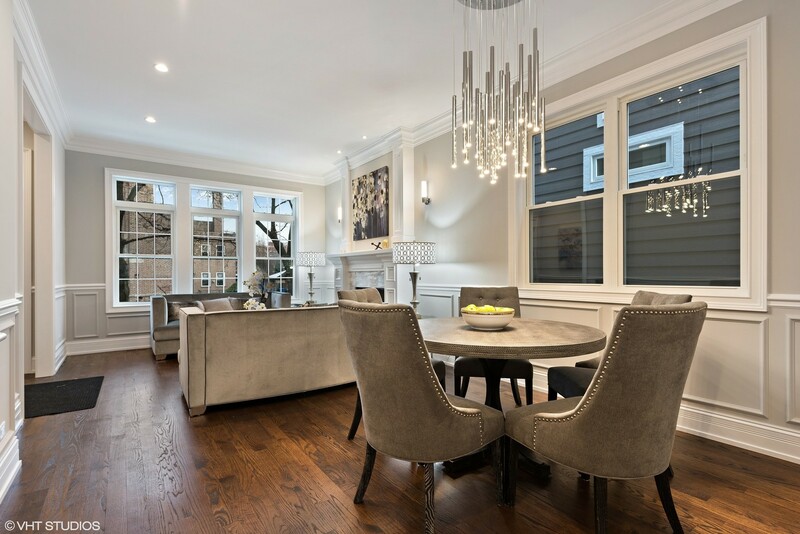 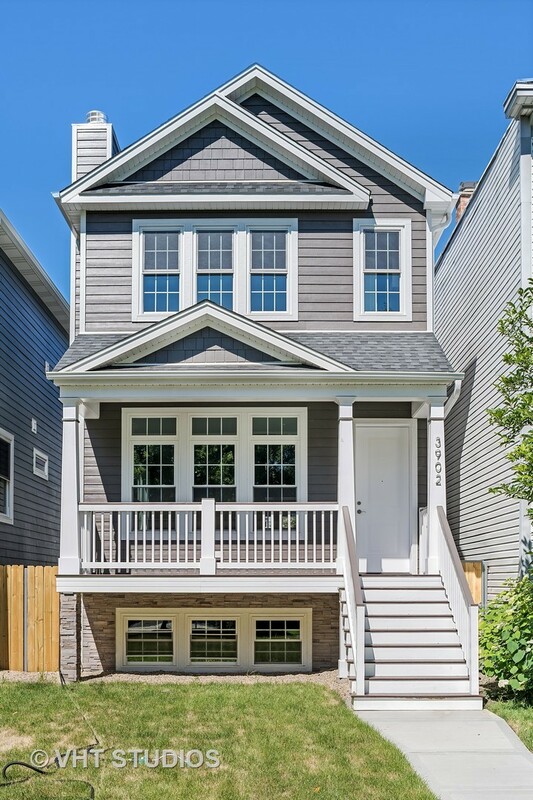 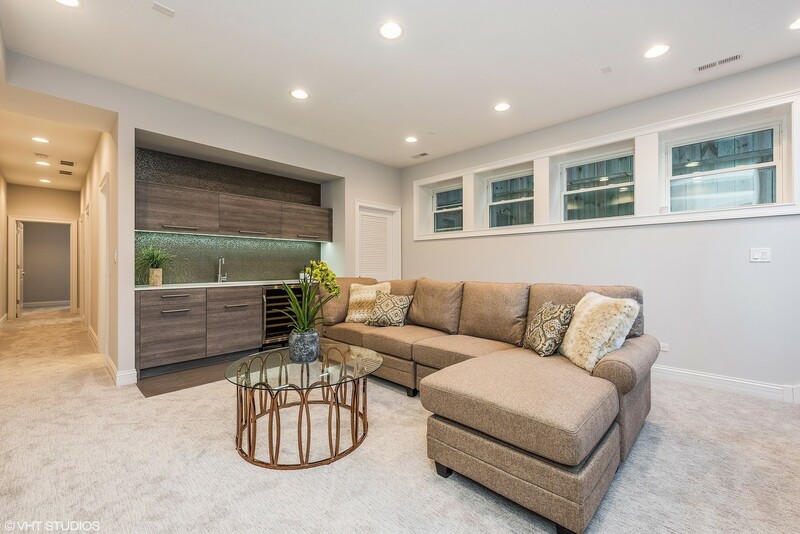 Newly constructed 5 bed, 3.1 bath SFH located in Chicago&apos;s thriving Old Irving Park neighborhood! 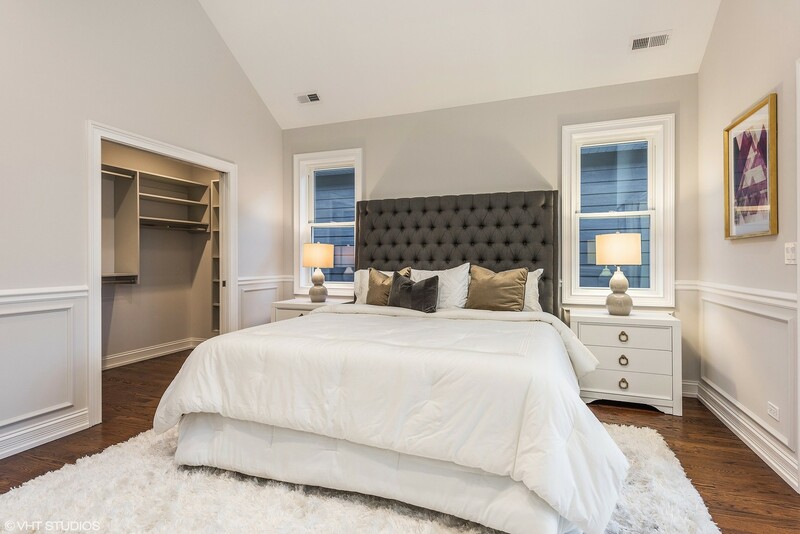 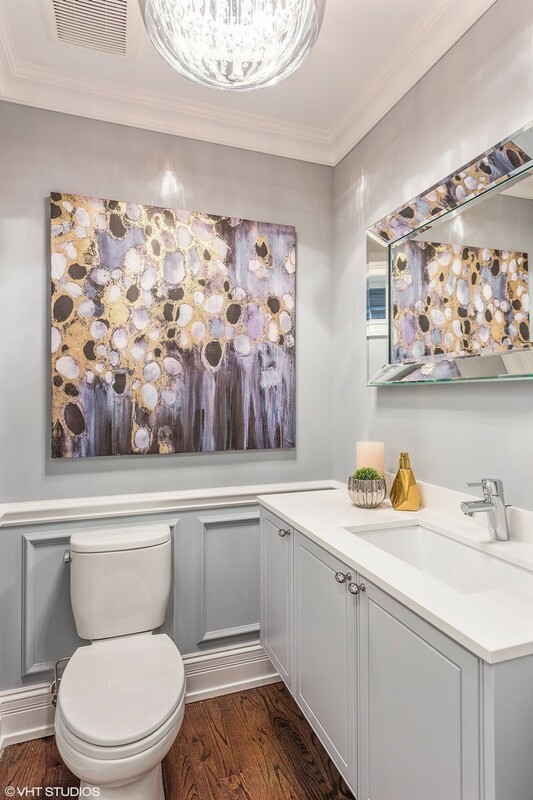 Situated on a quaint tree lined street, this impeccably designed home boasts an opulent open floorplan complimented by custom wainscoting, crown molding & designer finishes. 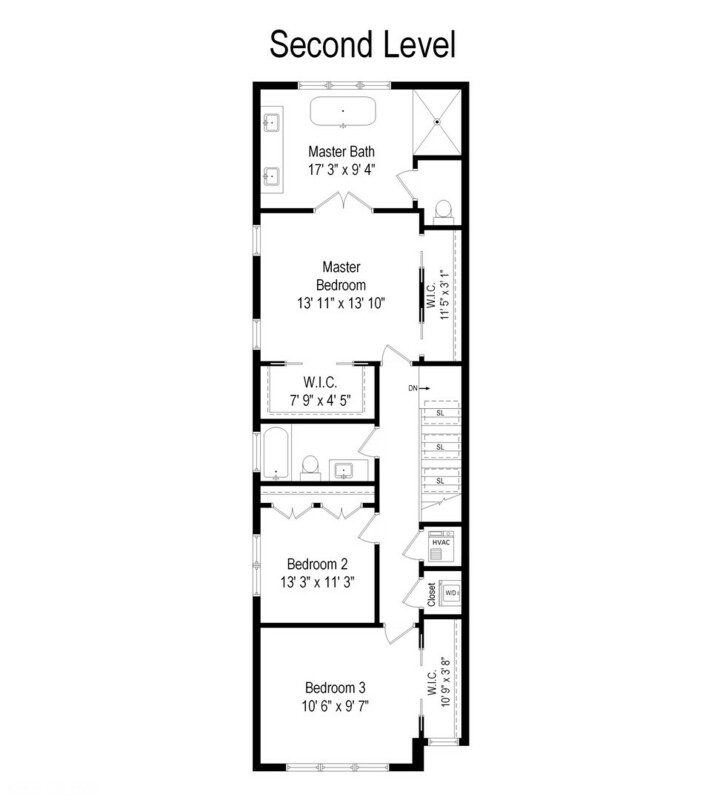 3 bdms up + 2nd & LL W/D for utmost convenience. 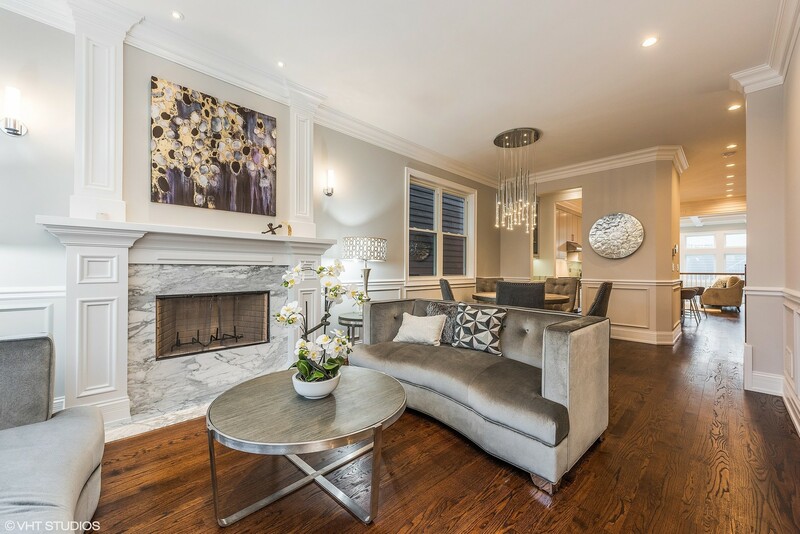 Lush outdoor space including a yard + brick paver patio & detached 2-car garage. 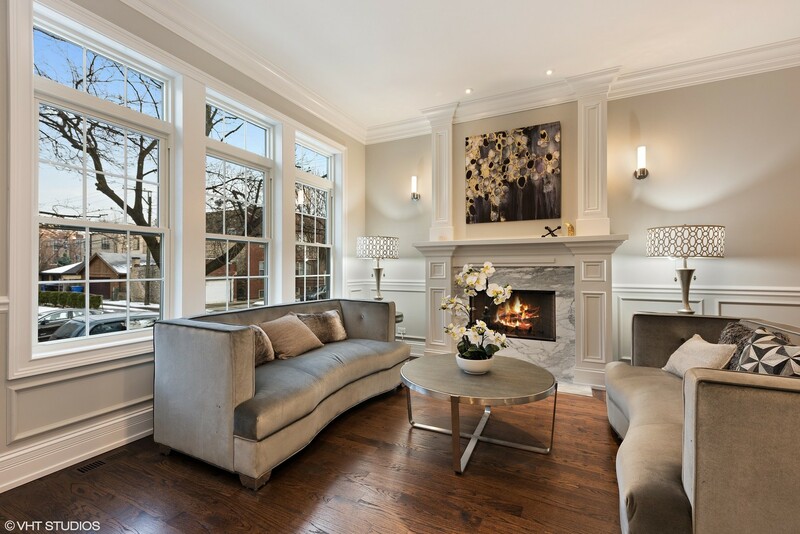 Inside, you&apos;re greeted by a luxurious LR showcasing decorative windows & an exquisite FP. 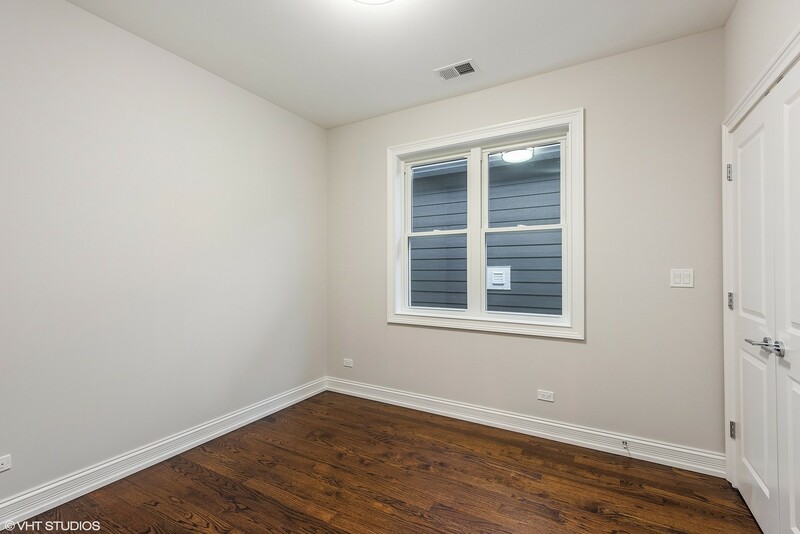 Rich hdwd floors lead to proper DR & pwdr rm. 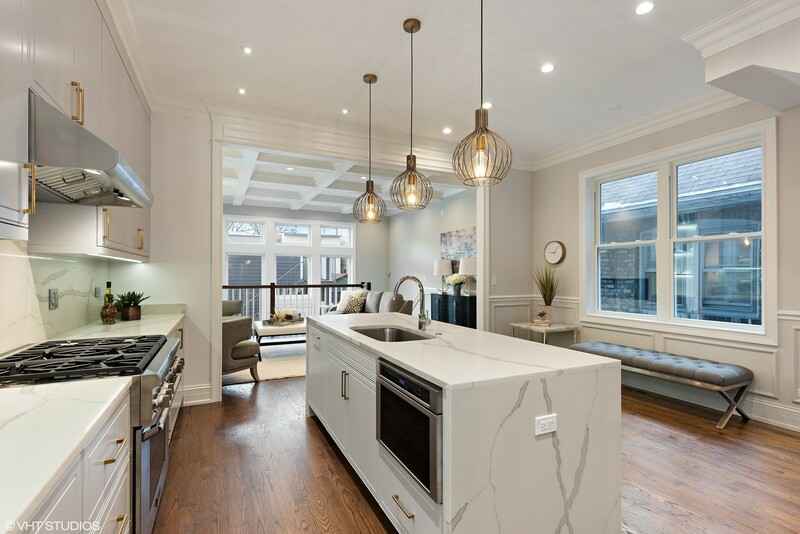 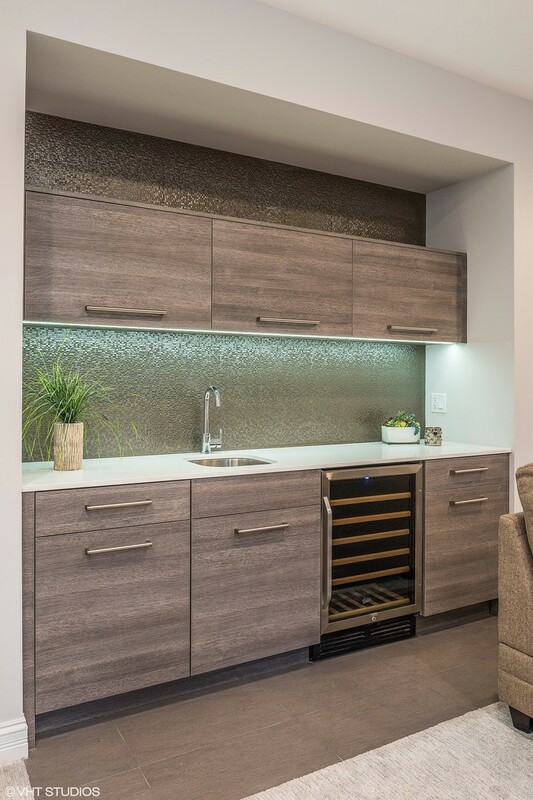 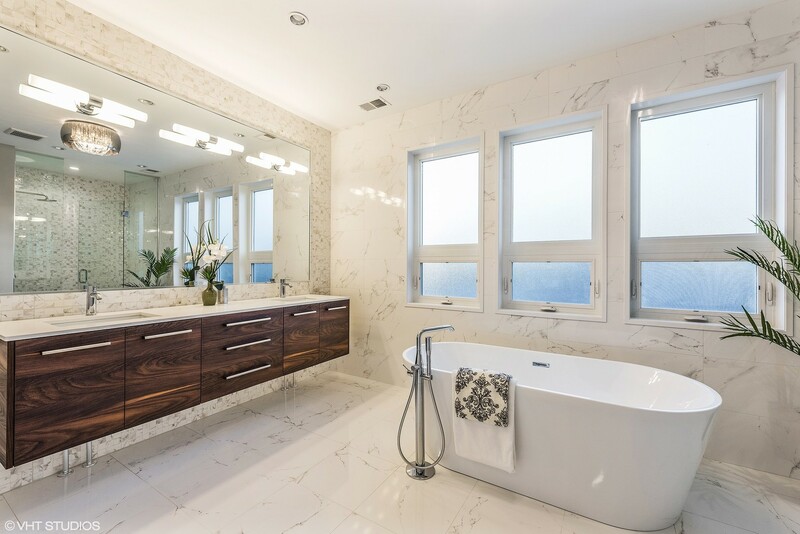 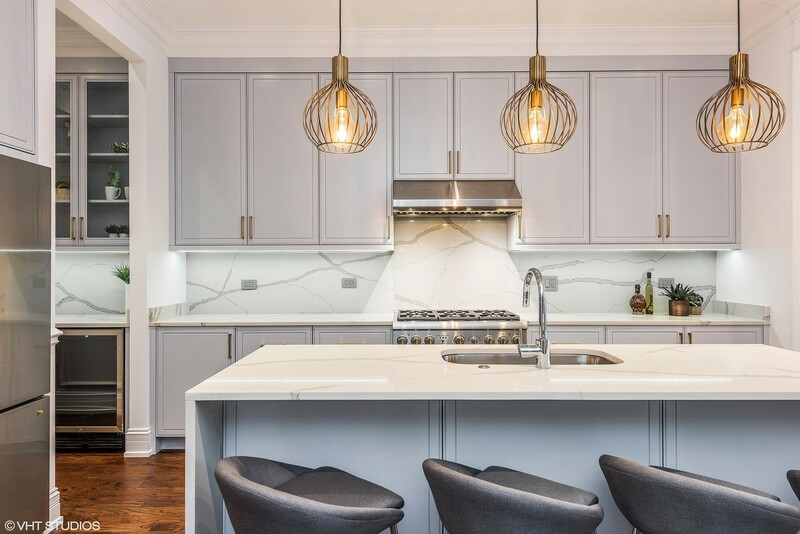 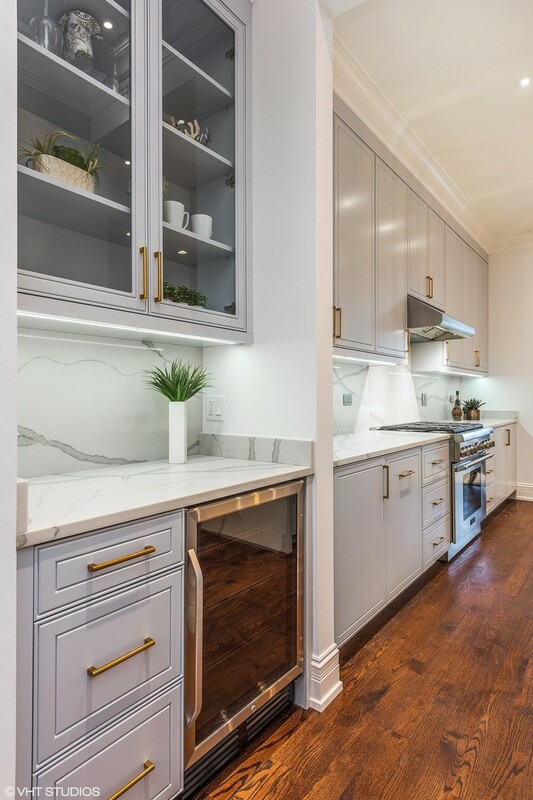 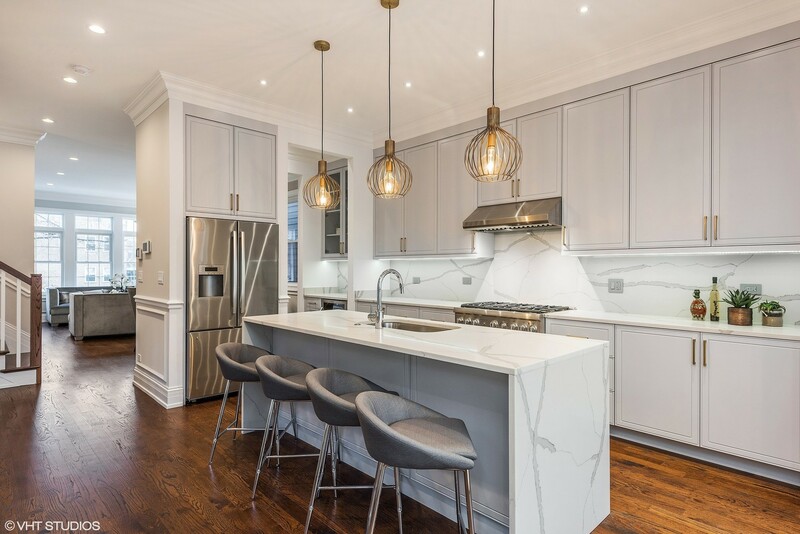 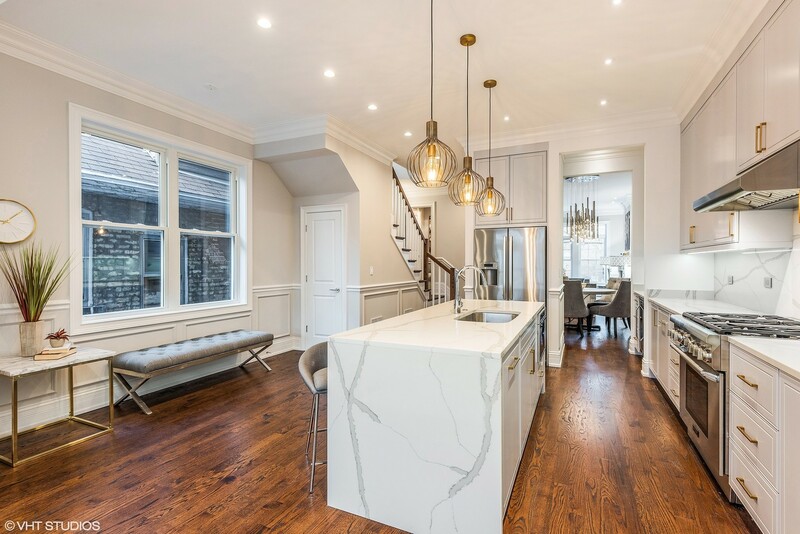 Pristine EIK features dual fuel Thermador range + hood, center island w. waterfall edge, butler&apos;s pantry & wine cooler. 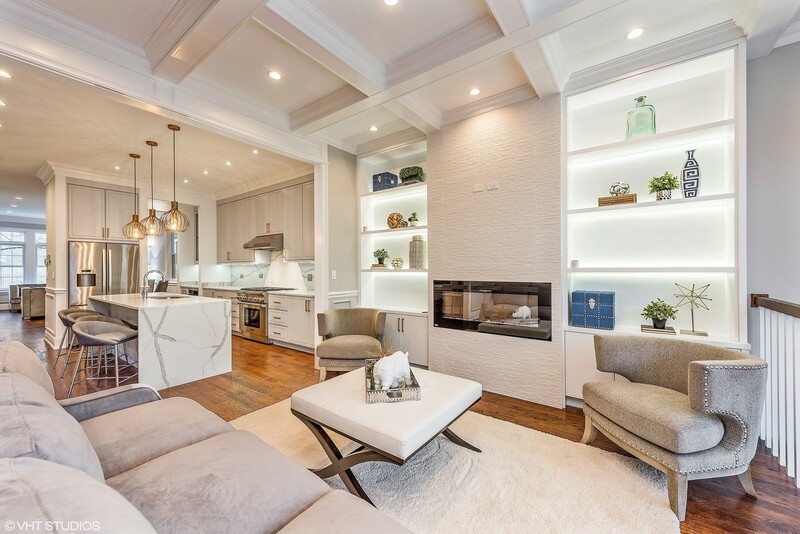 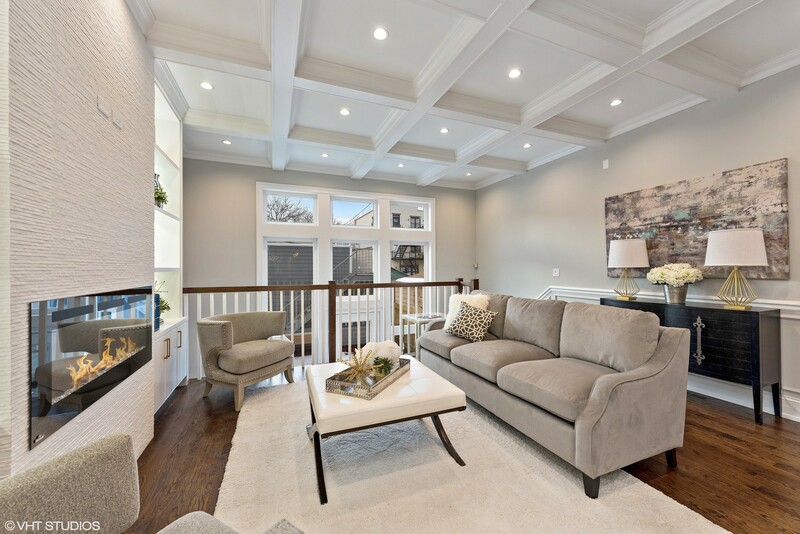 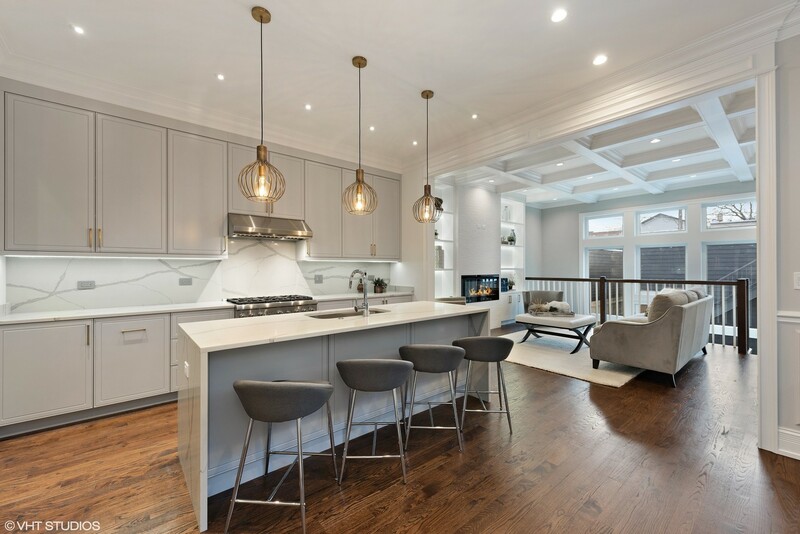 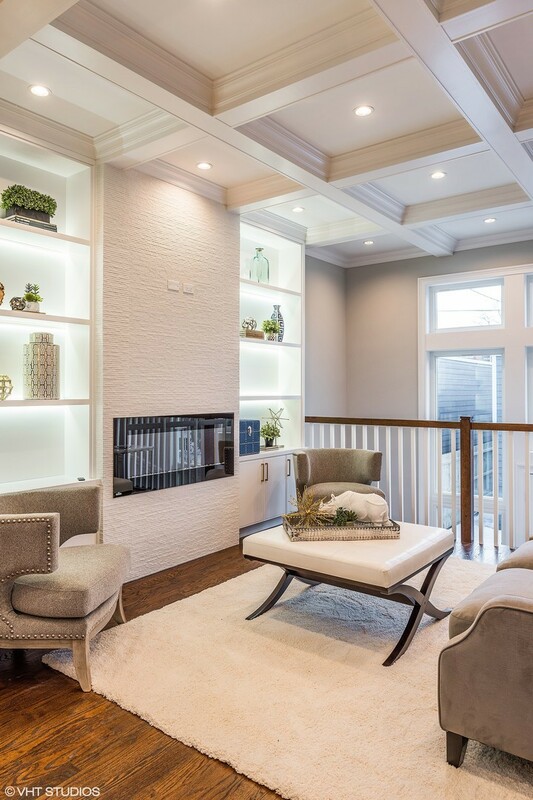 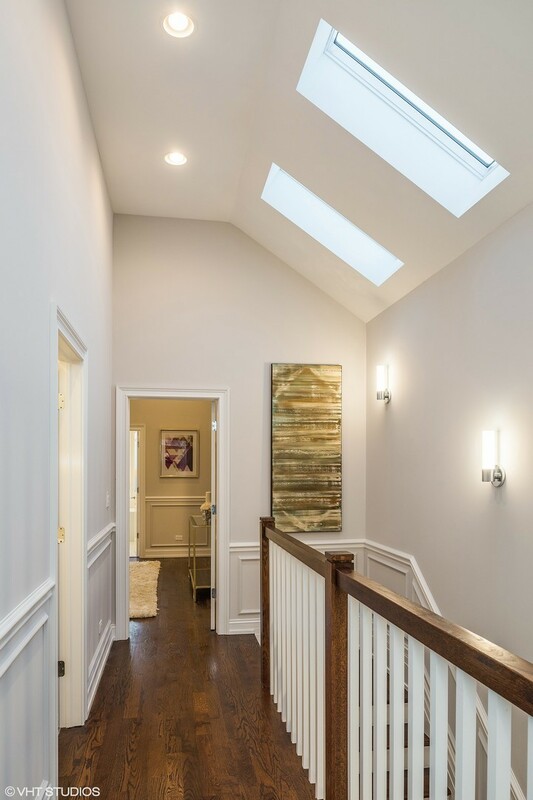 Open sightlines to your stunning FR w. coffered ceilings, built in shelving & modern FP. 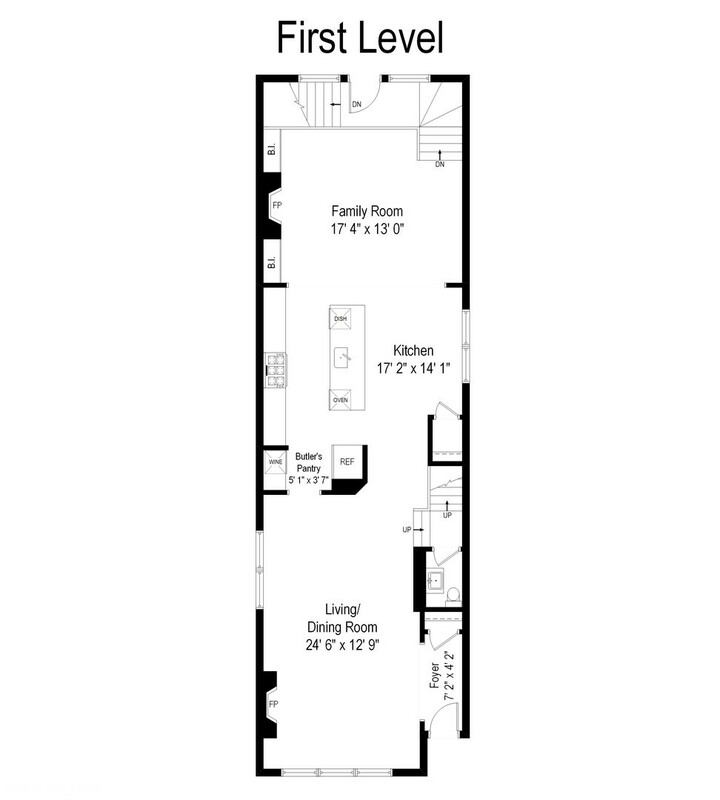 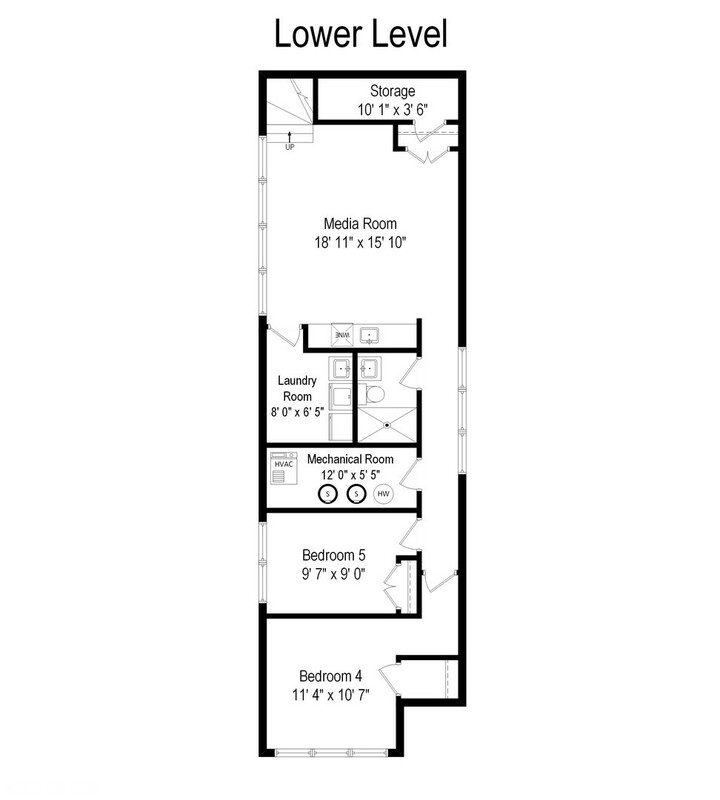 Gracious 2nd floor mstr suite w. cstm H&H closets. 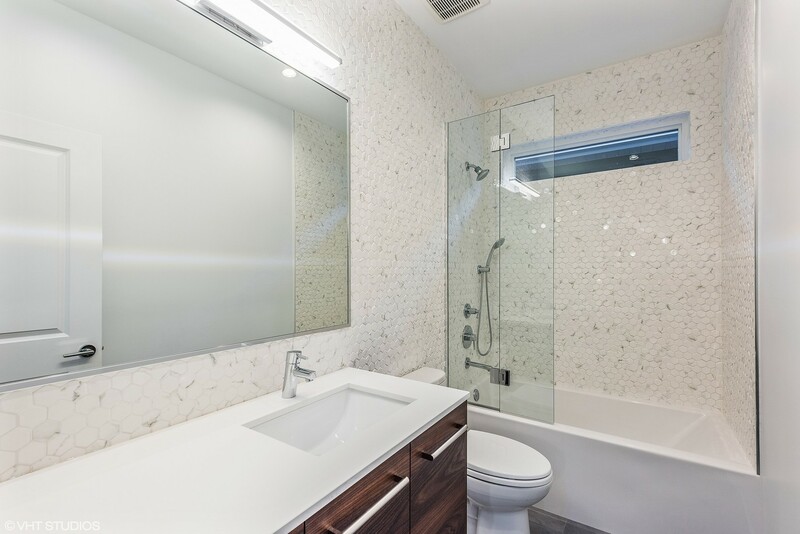 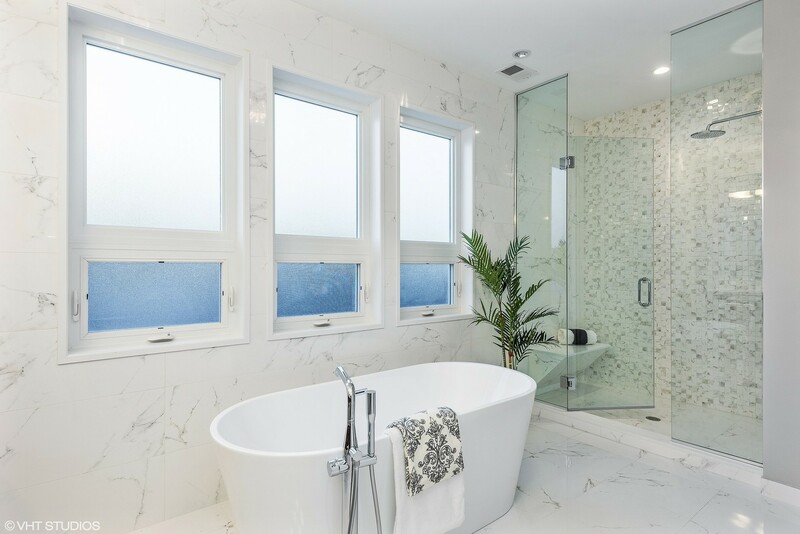 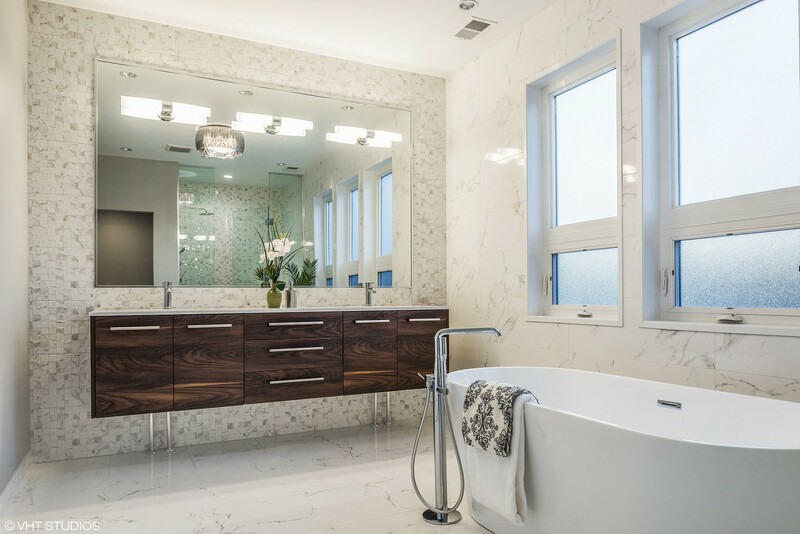 Spa bath w. dual vanity, sep shower & soaking tub. 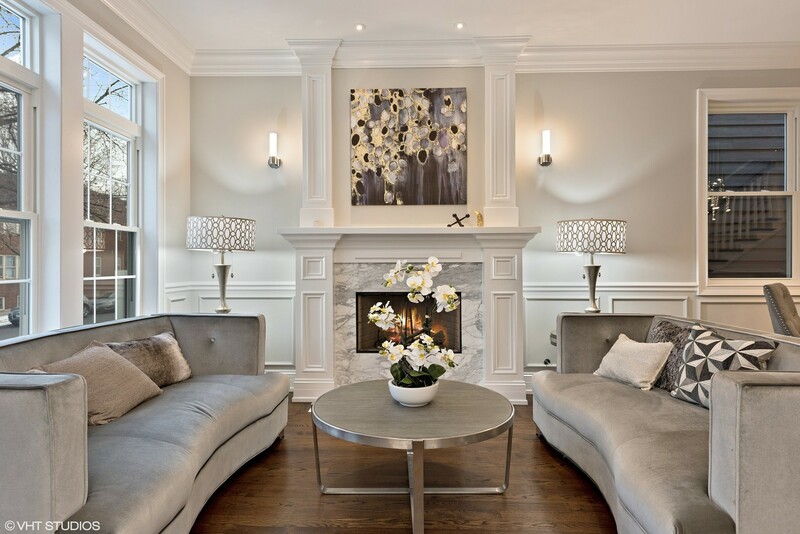 LL complete w. radiant heated flrs, media room w. wet bar & wine cooler, full bath & 2 generous bdrms. 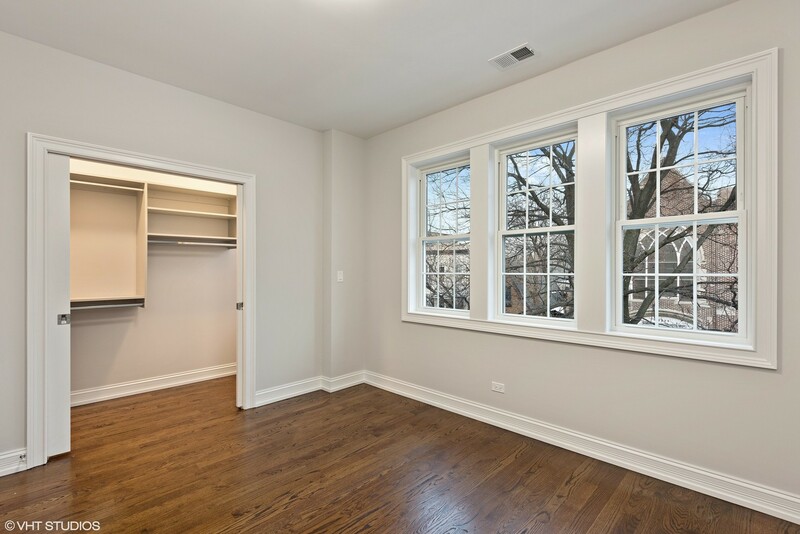 Moments to Metra, CTA blue line, dining & more!